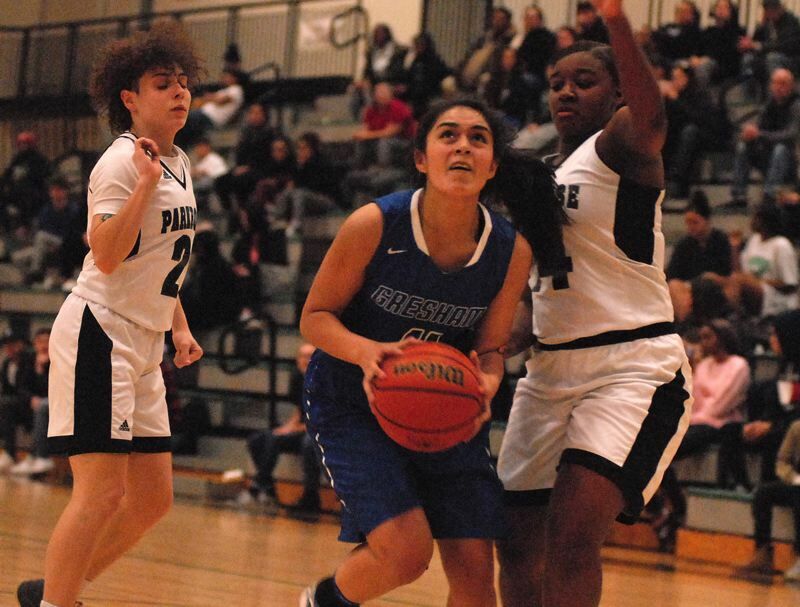 PORTLAND — Perhaps if the Gresham girls basketball team had played the game last week it would have walked off the Parkrose court with a win Tuesday night. Parkrose sophomore Sidney Fritz got a late start on the season, coming to her first practice only the previous day. During crunch time on game night, she kept getting in the Gophers' way. Parkrose worked to protect its slim lead down the stretch, passing the ball around the perimeter to slow the pace. 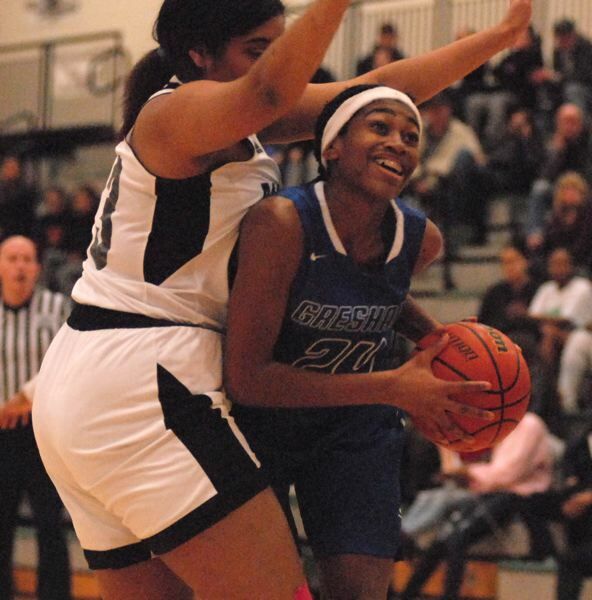 But Gresham's Antonia Gould turned up the heat when she stepped in front of a pass and beat a defender down the court for a layup that brought the Gophers within a point as the clock slipped under two minutes. The Broncos missed their next shot, but Fritz wrestled away the offensive rebound in a crowd under the basket and went back up for two points. Gresham's next two possessions ended with Fritz swiping an inbounds pass under the Gophers' basket, then holding her ground near the free-throw line to draw a charging foul with 0:12 left. "I saw her coming in hard and her shoulder dip," Fritz said. "Our coaches had been yelling for us to take charges all game, so it felt really good to get that call." Still, the Gophers would create one last chance to tie the score when Gould swiped a steal near half court, took a couple quick dribbles and launched a 3-point try. The shot missed the mark, but Jasia Mosley grabbed the rebound and kicked the ball to Emily Goodwin in the corner. She released another deep ball at the buzzer, but the ball clipped the far side of the rim and bounced off. Parkrose (1-3) plays at The Dalles at 6:30 p.m. Friday, while Gresham (0-6) plays at a tournament in St. Helens this weekend. The Gophers started well with Steff Arango converting a pair of layups to push her team to a 9-4 lead midway through the first quarter. Gresham would maintain the upper hand into the second quarter helped when Parkrose was issued a technical foul after play stopped when water was discovered on the floor in front of their bench. Tiffany Jones swished both free throws, hitting all five of her attempts on the night, to put Gresham up 17-14. Parkrose caught fire just before halftime when Kae Delgado scored six points in little more than a minute, sending the Broncos to the locker room with a 23-22 lead. Gresham matched its biggest lead at 34-29 late in the third quarter after Gould drove the baseline and wrapped a pass around a defender to Mosley for a layup. 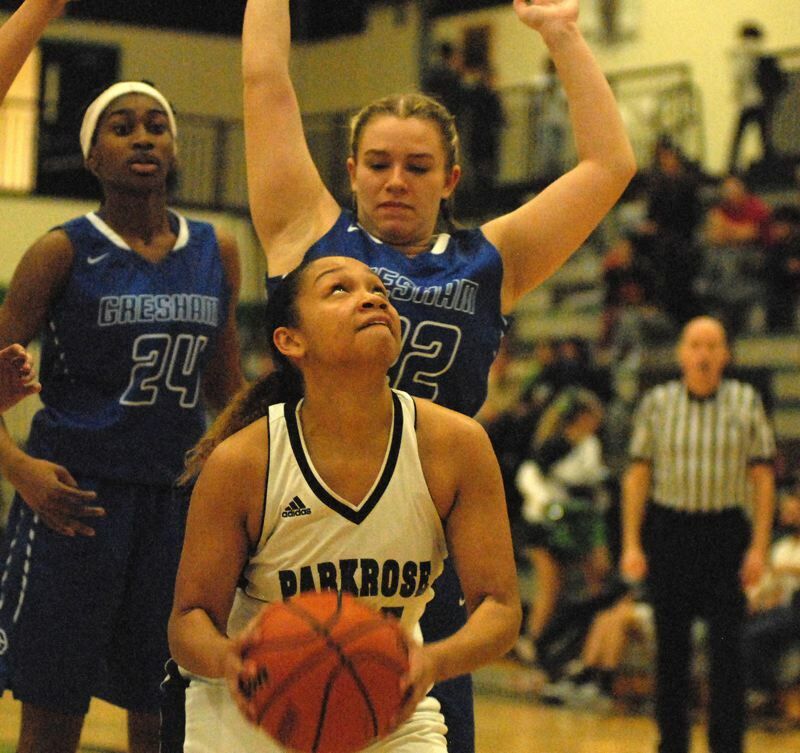 The teams traded the lead seven times through the first three quarters, but Parkrose took a one-point edge into the fourth and kept the lead the rest of the way. "We had our two best players fouled out and we never got into the flow of our offense," Gresham coach Mike Leland said. "We also struggled on the boards, and gave them a lot of second-chance buckets." The game featured 45 fouls with Gresham losing three players before the final horn. After making less than half their free throws in the first half, Parkrose knocked down 10 of 12 (.833) after the break. "We needed to do a better job understanding what the referee is calling and adjusting our play," Leland said. Gresham (41) — Steff Arango 8, Jasia Mosley 7, Destiny Ogbeama 6, Grace Williams 6, Tiffany Jones 5, Toni Gould 5, Heaven Schab 4, Walker, Algnog. Parkrose (44) — Kae Delgado 13, Imani Royster 8, Sidney Fritz 6, Teniya Green 6, Cassy Feigum 5, De'Aziah Bradley 2, Camila N. 2, Dormezil, Benjamin, Sathrum.